Gifts that establish or enrich endowed scholarship funds provide an opportunity for donors to create a lasting legacy. 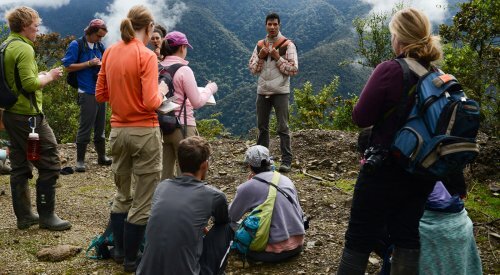 Through the generosity of friends, alumni and supporters, The School for Field Studies has a number of endowed scholarships, which provide much-needed financial support for our students. See below for a list of our endowed scholarships. [post_content] => This endowed scholarship was made possible through the generosity of The Roy A. Hunt Foundation. [post_excerpt] => This endowed scholarship was made possible through the generosity of The Roy A. Hunt Foundation. It is awarded on the basis of need. [post_content] => This endowed scholarship was made possible through the generosity of Trustee W. James Tozer Jr. and his wife, Elizabeth. [post_excerpt] => This endowed scholarship was made possible through the generosity of Trustee W. James Tozer Jr. and his wife, Elizabeth. The Tozer Scholarship is awarded on the basis of need. [post_content] => Film Director Darren Aronofsky, dual SFS alum (Kenya ’85 and Alaska ’86), started The Fountain Scholarship with the monetary award he won for his film The Fountain. This scholarship provides tuition assistance to those SFS applicants who (a) have spent most of their lives in an urban environment whether in the US or abroad; (b) demonstrate financial need; and (c) demonstrate a commitment to and concern for environmental issues. An award-winning director, Darren’s recent film, Black Swan, won Natalie Portman the Academy Award for Best Actress and received four other nominations, including one for Best Picture. Darren both wrote and directed The Fountain, which one reviewer suggested "may well restore your faith in the idea that a movie can take you out of the mundane and into a place of wonderment." To join Darren in building The Fountain Scholarship, you can Donate Here. In order to accurately designate your gift, please choose "The Fountain Scholarship" from the drop down menu. [post_excerpt] => The Fountain Scholarship was established by the film director of The Fountain, The Wrestler and Black Swan, Darren Aronofsky (KY ’85; AK ’86). It provides tuition assistance to those SFS applicants who meet the requirements. 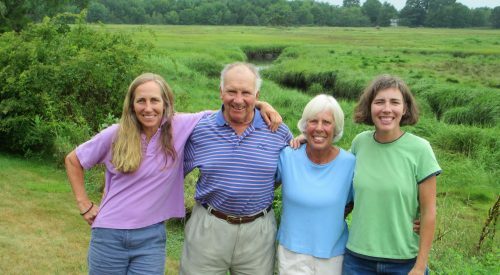 [post_content] => Charlie McKee—long-time trustee and double SFS parent—along with his wife, Nina, established the McKee Scholarship in appreciation for the formative experiences of their daughters, Nina (left) (Alaska Summer ’84) and Heidi (right) (Virgin Islands Spring ’87). Nina now has her own accounting firm in Washington, West Virginia, and Heidi is a Professor of English at Miami University in Ohio. Charlie passed away in 2014, but we are honored to continue his legacy supporting students through this scholarship, given to students who demonstrate financial need and might otherwise not be able to attend an SFS program. To join the McKee family in building The McKee Scholarship, you can Donate Here. In order to accurately designate your gift, please choose "The McKee Scholarship" from the drop down menu. [post_excerpt] => This endowed scholarship was made possible by the generosity of Charles D. McKee, a member of the SFS Board of Trustees and father of two SFS alumnae. It is awarded on an annual basis to a financially deserving student. 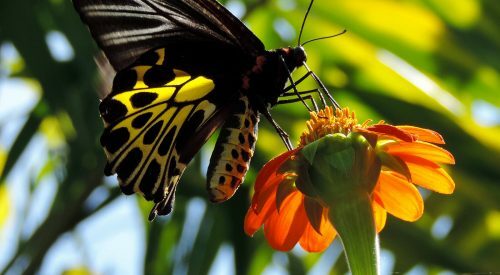 [post_content] => As an SFS student in Kenya during the spring of 2004, Heather Jo Leibowitz showed an impressive dedication to making a difference in the resource-dependent communities in which she lived and studied. "Presenting our findings to group ranch officials and local community members was the single most rewarding experience of my time in Kenya. Knowing that we were sharing information that could potentially have a real, positive effect on the lives of ordinary Kenyans as well as help preserve vital natural resources for humans and wildlife alike was incredible... there is no other word to describe it. It was wonderful to feel like all of us were making a positive difference, albeit a small one, in the area." "This past semester in Kenya and Tanzania has undoubtedly been the most valuable and transformational experience of my life... I am so grateful to have had the amazing experience of living in East Africa for a semester, and I would like to express my deepest gratitude for your contributions to SFS which essentially made this semester possible for me." 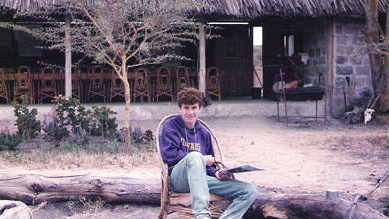 [post_excerpt] => Honoring the memory of Heather Jo (KY ’04), this scholarship is awarded on the basis of need to applicants of the East Africa program. Preference is given to those who have a commitment, as Heather Jo did, to making a difference in the lives of resource-dependent communities in East Africa. [post_content] => Stephen Lee was a passionate environmentalist who served SFS in several ways – as a student in Mexico (‘86), an intern in Kauai the summers of 1987 and 1988, and a faculty assistant in the SFS Marine Mammals program on the Big Island in the spring of 1989. 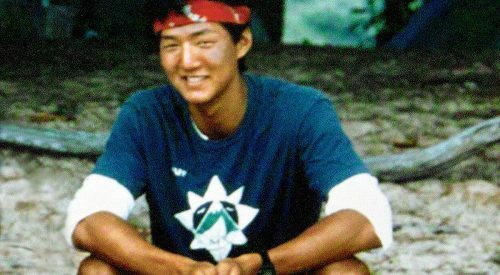 To join the Lee family in building The Stephen F. Lee Memorial Scholarship, you can Donate Here. In order to accurately designate your gift, please choose "The Stephen F. Lee Memorial Scholarship" from the drop down menu. [post_excerpt] => Established in memory of Stephen F. Lee, an SFS alumnus (FL ‘86), intern (HI ’87, ’88) and faculty member (HI ’89), this scholarship gives preference to applicants seeking a marine program (Turks & Caicos or Panama). This endowed scholarship was made possible through the generosity of The Roy A. Hunt Foundation. It is awarded on the basis of need. This endowed scholarship was made possible through the generosity of Trustee W. James Tozer Jr. and his wife, Elizabeth. The Tozer Scholarship is awarded on the basis of need. 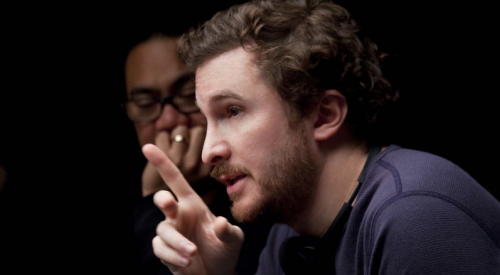 The Fountain Scholarship was established by the film director of The Fountain, The Wrestler and Black Swan, Darren Aronofsky (KY ’85; AK ’86). It provides tuition assistance to those SFS applicants who meet the requirements. This endowed scholarship was made possible by the generosity of Charles D. McKee, a member of the SFS Board of Trustees and father of two SFS alumnae. It is awarded on an annual basis to a financially deserving student. Honoring the memory of Heather Jo (KY ’04), this scholarship is awarded on the basis of need to applicants of the East Africa program. Preference is given to those who have a commitment, as Heather Jo did, to making a difference in the lives of resource-dependent communities in East Africa. Established in memory of Stephen F. Lee, an SFS alumnus (FL ‘86), intern (HI ’87, ’88) and faculty member (HI ’89), this scholarship gives preference to applicants seeking a marine program (Turks & Caicos or Panama).